Did you plead guilty or no contest? Was your case dropped, dismissed or terminated? Did the judge withhold adjudication in your case? Criminal Expungement Law Provides Clean Slate to Escape Past Mistakes! 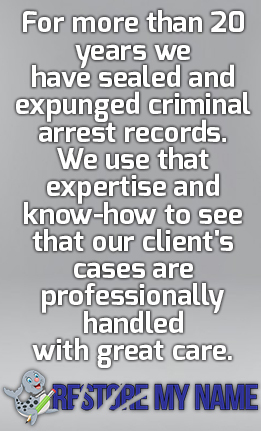 The Restoration Group Removes and Erases Criminal Arrest Records. Why? The Restoration Group, the Criminal Record Seal/Expunge division of The Law Offices of James G. Souza III, P.A.